The following video from CEG Worldwide outlines what I believe to be a good process for you to consider. I’m happy to discuss this with you to see how we can apply its lessons to your specific situation. *CEG Worldwide is not affiliated with Lincoln Financial Advisors Corp. The rhythm of our relationship is our Strategic Wealth Experience process. We take the time to learn about you, your dreams, your vision of success, your aspirations and your specific goals. You are the conductor of your financial orchestra and we act as the arranger. We begin by reviewing your current strategies and discussing opportunities you may have missed due to years of nonintegrated advice. Our integrated team approach then delivers unique estate, business succession, investment planning, and tax reduction strategies. We work together to gain a thorough understanding of your family's financial philosophy. Knowing your specific situation and objectives allows us to explore opportunities not previously considered. Following, the foundation of your financial plan begins to take form and your personal goals and financial situation are confirmed. Sophisticated strategies are outlined in plain English. 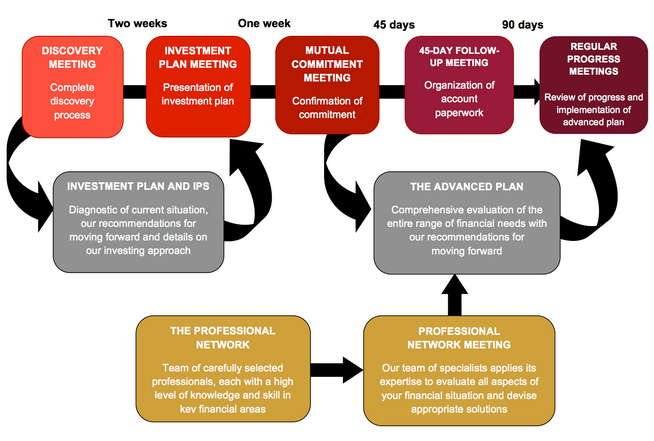 Using professional persistence and a team approach, we take your financial plan from concept to reality. To fine tune your strategies, we consult with other professionals, including wealth transfer specialists, private client estate planning attorneys and CPAs.